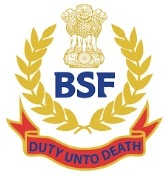 BSF Jobs Recruitment Notification 2019.Border Security Force, BSF inviting applications for the positions of Constable.Interested and Eligible candidates can apply for the positions. Last Date for Submission of Application is on February 23rd, 2019. 2. Qualification: Matriculation or equivalent from a recognized with:- Two years work experience in respective trades; OR One year certificate course from Industrial Training Institute of Vocational Institute with at least one year experience in the trade; OR Two years Diploma from Industrial Training Institute in the trade or similar trade. 2 .Last date of submission of applications is 30 days from the date of publication of the advertisement in Employment News Paper and 4.5—da.YS for candidates belonging to far flung areas i.e North Eastern States, Sikkim, Ladakh Division of Jammu & Kashmir State, Lahaul & Spiti Districts and Pangi Sub-Division Of Chamba District Of Himachal Pradesh State, the Union Territory of Andaman and Nicobar Islands or Union Territory of Lakshadweep.